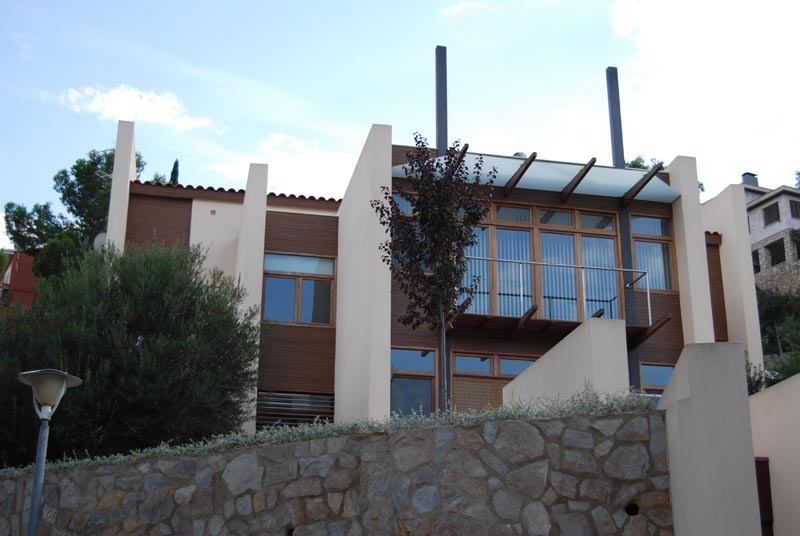 As in the Guaita House (in fact Seve House is located a few meters away), the land is located on the northern slope of a hill, with magnificent views. 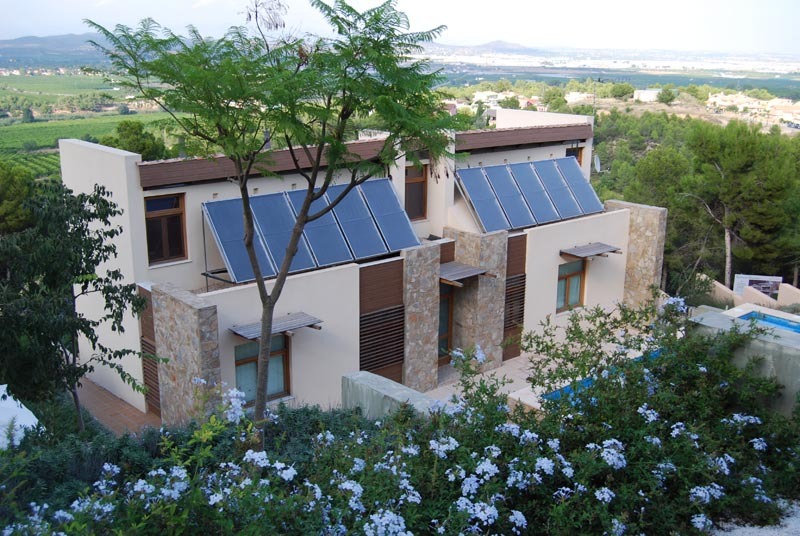 This situation greatly complicates the design bioclimatic housing, as it makes solar yields. 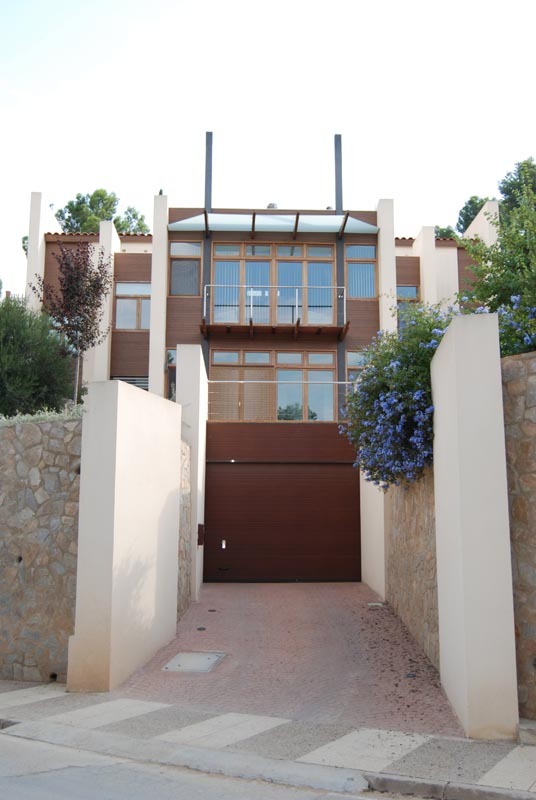 To remedy the situation, the house has been built on a semi-buried in the hillside, so that you can access the garage, located north from the street below, through a small ramp. 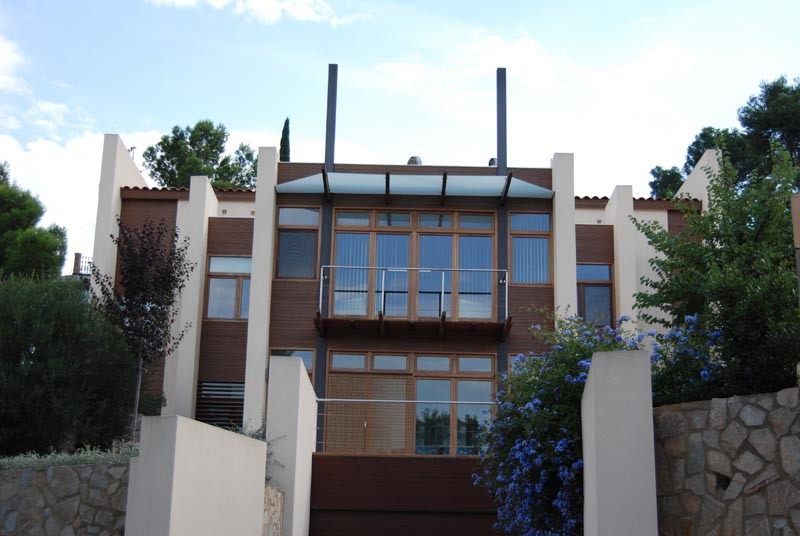 The three-storey house is available so that the top floor flush with ground level on the south facade. 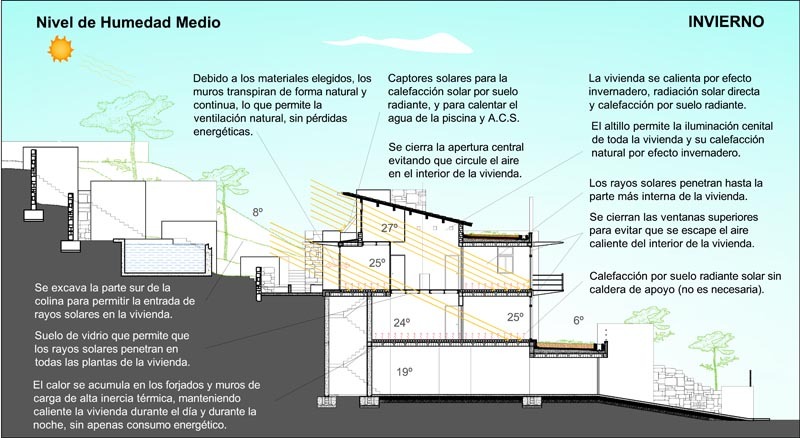 The south facade of just a height, is the only means of solar radiation penetration into the building. 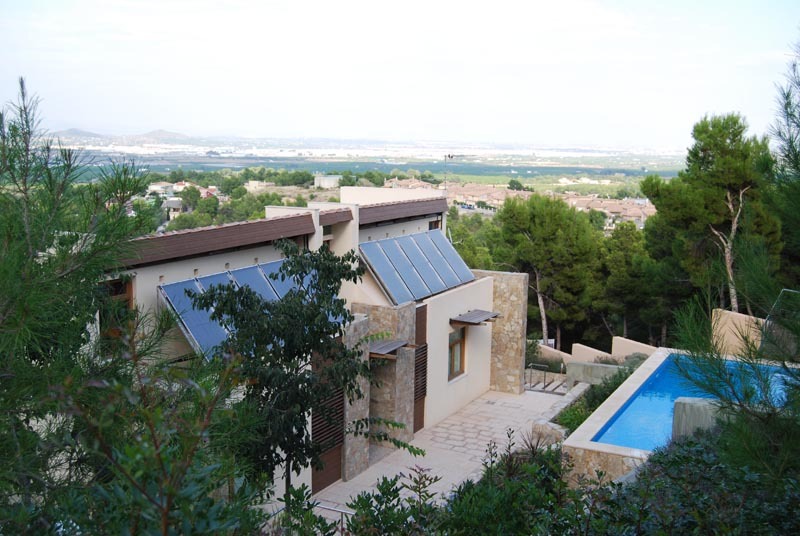 Therefore, and in order to improve the level of solar input, is arranged on an inclined roof patio (with a large glass surface to the south), so allowing the passage of solar radiation to the inner courtyard and serves to generate a strong “chimney effect” to extract the hot air inside the housing, creating an air stream and to let the house cool air from underground tunnels. 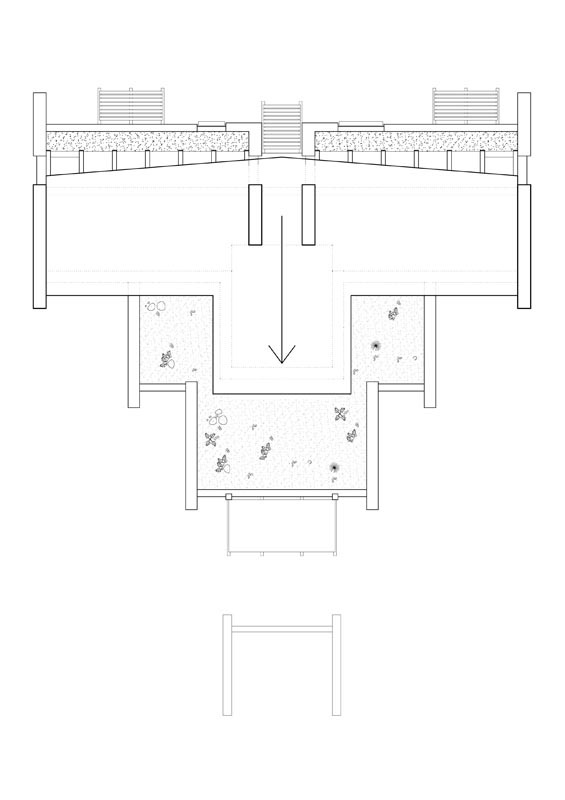 The building consists of two houses, so that to allow access of solar radiation to the lower house, the central courtyard has a glass floor (bored to allow passage of cooling air flowing through the housing, cooling in summer). 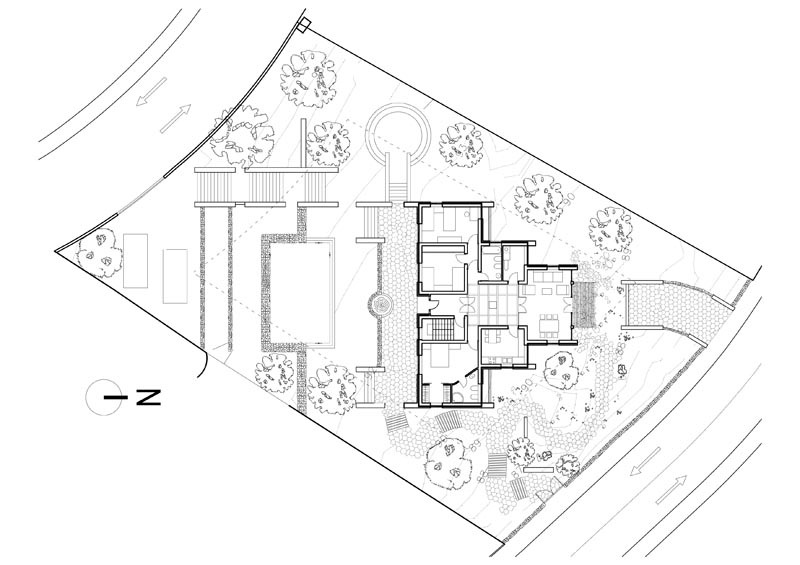 The building structure is a reinterpretation of the Spanish patio. 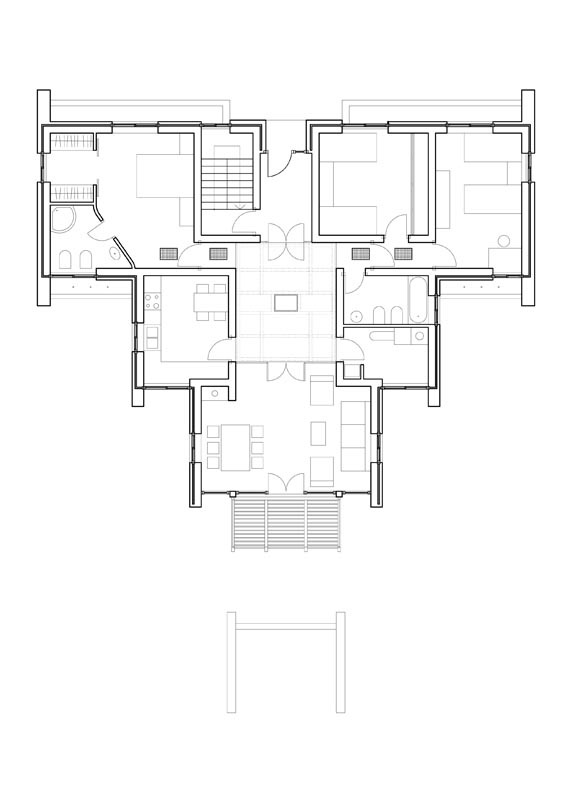 The rooms are arranged around a central covered courtyard. 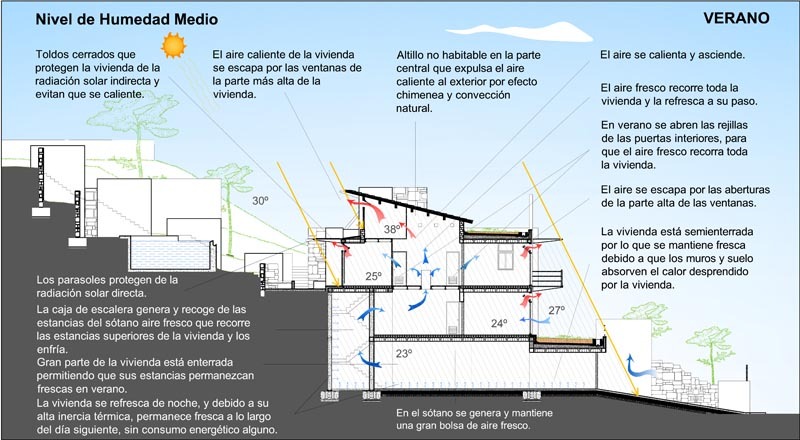 Thus, the homes stay cool in summer (when opening the upper windows of the patio, hot air is removed by chimney effect), and keep warm in winter (when they close the windows above the patio, it becomes a gases).